Justice A. Muhamed Mustaque of Kerala High Court, in a landmark ruling, has observed that “being a Maoist is of no crime”. “Police cannot detain a person merely because he is a Maoist, unless Police forms a reasonable opinion that his activities are unlawful,” the Court observed. 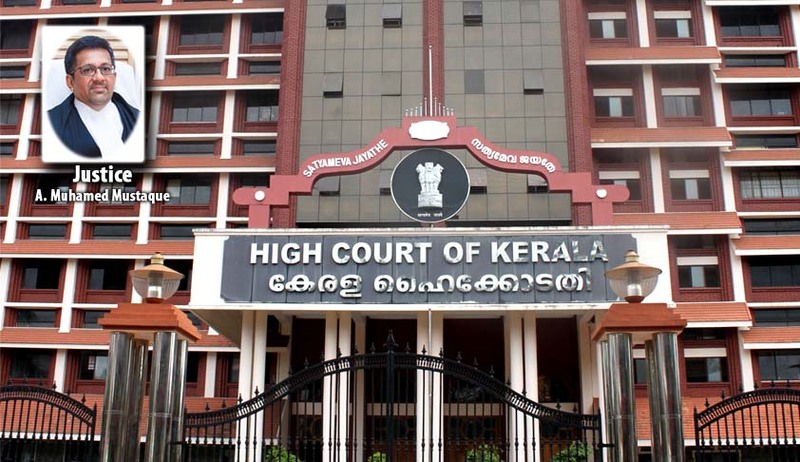 The Court was hearing a Writ Petition filed against alleged torture by the "Thurderbolt" commandos of the Kerala police. The petitioner said he was arrested wrongfully and later released. He hence sought action against police officials, besides compensation. According to the Petitioner, Mr. Shyam Balakrishnan, son of a former High Court judge, he was stripped by the police for body search from the Police Station. The police also conducted a search of the house of the petitioner. Around 20 police personnel reached his house for the search and one group of armed policemen surrounded the house and another group searched inside the house. They left the house only on the next morning at 12.30 a.m. The police submitted before the Court that they were taking steps to protect the petitioner from the group of people assembled in the area and hence took the petitioner in the jeep to the police station. They denied the Petitioner’s arrest. It was however submitted in the counter affidavit that the petitioner was interrogated by the Deputy Superintendent of Police, Mananthavady and his laptops and mobile taken by them for verification. The Court disagreed with the Police version of the story and observed that it was a “feeble defence put forward in this matter”. The Court considered the question whether the arresting Officer in fact had any belief for reasonable suspicion or information that petitioner had committed a cognizable offence. It came to realize that the State was unable to refer to any foundation for its suspicion towards the Petitioner. “It is the activities of the Maoists which have to be curbed if it affronts to the law of the land. But, the State moved to nab the Maoist like a predator vying for prey. This is nothing but disguised aberration of law in the cloth of uniform and the protector has become aggressor,” the Court observed. The Court also ordered compensation of Rs. 1, 00, 000/- to be paid by the State to the Petitioner, within 2 months. It also directed the State to pay the costs of the litigation at Rs.10, 000/- along with the compensation quantified. The Court said “there cannot be a difficulty in holding that Article 226 can be moulded for compensation for a victim of an unlawful arrest. The petitioner claimed a sum of Rs.1,00,000/- as compensation. No doubt he would have been entitled for a higher amount of compensation considering the trauma and mental agonies suffered by him. In that view of the matter with liberty to claim any compensation if otherwise can be claimed by him before the civil court, the State shall pay a sum of Rs.1,00,000/- (Rupees one lakh only)”. The Court declined Petitioner’s prayer to initiate departmental action against the police officers, without prejudice to the petitioner’s right to approach the Police Complaints Authority.